When I go to do an over the air update it just sits there looking for updates, I waited about 20 minutes and 10% battery life before I gave up. After Hooking it up to a computer for the first time since my jailbreak I found out iTunes was out of date, I clicked update and it stared at me blankly. I downloaded iTunes and uninstalled and reinstalled it myself and it demanded that I install 11.0.5 before it would even consider IOS 7. I checked the version and discovered I had 11.0.5. This really breaks new ground in fail. After operating the Google I found out that the current version is 11.1 and downloaded and installed that. I plugged in my phone and nothing… Not a thing. Rebooted and tried again, nothing. I checked with Google again and learned that I needed to update the iPhone driver manually. I jumped in device manager and pointed it at the proper driver, and my phone was detected. I started the upgrade to IOS 7. After a full backup (although I had just taken one at the beginning of this mess) it partially installed IOS 7 and gave me an error message leaving my phone locked up. I used TinyUmbrealla to kick the phone out of recovery mode and it had no valid OS so it jumped right back into recovery mode. I then had to use recovery which went straight to ios 7 leaving my backup that I just made completely useless. 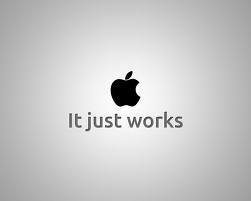 Next time I hear an apple zealot say “It just works” remind to punch them in the face.